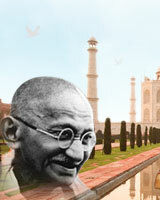 Red Fort is one of the most famous monuments of Delhi. 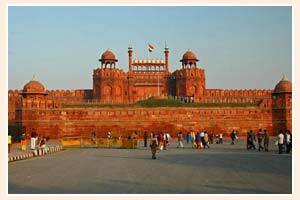 It is named as Red Fort due to the red stone with which it is built. It is from here only that the British uncrowned the last Mughal emperor, Bahadur Shah Zafar. Shah Jahan shifted his capital from Agra to Shahjahanabad and laid the foundation of Red Fort, or the Lal Quila, on 16th April 1639. It took nine years to build this mighty citadel and it got completed on 16th April 1648. 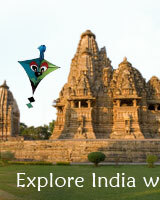 The Fort comprises of huge halls and massive palaces. Red Fort has two entrances, one from the Lahore Gate and the other from the Delhi Gate. It is from Red Fort only that the first Prime Minister of India, Pandit Jawharlal Nehru, announced to the nation that India was free from colonial rule.